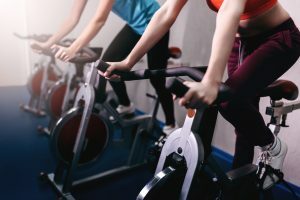 Can cardio exercise boost metabolism better than strength training? Any kind of movement is good for health. Studies have shown time and again that sitting is bad for health. But, is one kind of exercise better than the other when it comes to weight loss? This is a controversial topic since some studies show that strength training can keep calories burning long after your workout. However, a recent study has shown that cardio exercise may actually be better than strength training in boosting metabolism. Cardio exercise, or aerobic activity, is a type of exercise that gets your heart rate up. It gets you to breathe faster and deeper, in turn getting more oxygen in your blood. Cardio exercise is best known for improving the overall health of your heart and lungs. Experts recommend that you engage in some cardio exercise for at least 30 minutes a day for most days of the week. Types of cardio exercises include walking, running, cycling, swimming, team sports, and dancing, to name a few. Cardio exercises are known for burning more calories per minute than strength training and is also great for stress management. Not to mention that cardio training can help reduce risk of chronic diseases like heart disease and diabetes. On the other hand, strength training exercises aim to increase your bone and muscle strength. Examples of such exercises include free weight exercises or resistance training like push-ups, to name a few. Research has found that strength training can help you burn an additional 25-percent of calories you burned during your workout even after you have finished your workout. Therefore, if you burn 100 calories during your strength training workout, then you will burn an additional 25 calories in the hours after your workout for a total of 125 calories burned. Typically, it is recommended to balance out your fitness routine with both cardio and strength training exercises. This will ensure you can reap the benefits of both types of exercises. Recent research looked at the effects of cardio and strength training exercises on certain health markers. Two groups of people had either a 60-minute cardio or 60-minute strength training workout to complete. After the workout, their blood was tested for lactic acid, blood sugar, bile, and hormone levels. Study results show that those who did the cardio exercise had higher levels of the hormone FGF21. This hormone plays a role in boosting metabolism. Those who did the cardio workout had tripled their FGF21 level from baseline, while those who did strength training saw no increase. Besides boosting your cardio routine, there are other small changes you can make to your lifestyle to speed up your metabolism. Spice up your diet: Research shows that capsaicin, the active component of chili peppers, can increase calorie burning by 50 calories a day. Take a metabolism boosting supplement: Sometimes a supplement that supports the thyroid may help boost metabolism. An example of this is Thyradol by Vita Sciences. Thyradol contains ashwagandha that helps enhance levels of the thyroid hormone T4. You should contact your healthcare provider before starting any new supplement. Eat more harder to digest foods: Foods that are more complex in their structure can help the body burn more calories during digestion. This is called diet-induced thermogenesis. Foods higher in fiber and protein are examples of such foods. Foods that are more refined, like processed carbohydrates, will not have this same effect. Therefore, aim for eating lots of complex carbohydrates like high fiber fruits and vegetables that have a 20-percent thermic effect. This means that for every 100 calories of these foods you eat, your body will use 20 calories to break down and digest these foods. Aim for at least 2 cups of fruits and vegetables each day. Also, be sure to consume plenty of protein from animal and/or plant-based sources., which have a 30-percent thermic effect. Could breastfeeding and probiotics help infant gut health? Probiotics are getting more press each and every day for their health benefits. From skin health, improving bone health, and of course, enhancing gut health, the possibilities seem endless. In fact, a recent study shows that combining a probiotic with breastfeeding in the first year of life can have improvements in the gut health of infants. Probiotics are simply any bacteria, fungi, or other living organism that has the potential to improve health to the host. The health of the body depends on a balance of different bacteria in the gut. An imbalance could lead to health problems such as gas, bloating, constipation, and other gut health issues. You can maintain a good balance of probiotics in the gut by consuming a diverse probiotic supplement every day. You can find good bacteria in fermented foods like yogurt, sauerkraut, or kimchi as well. To feed such probiotics, it is important to consume plenty of fruits, vegetables, and healthy whole grains like oats or wheat bran. Prebiotic foods like these are important to maintain healthy levels of good bacteria. Together, probiotics and prebiotics can improve the health of the gut, immune system, and in turn overall health. A certain type of bacteria, known as Bifidobacterium infantis, is found naturally in the gut of infants upon birth. This bacterium helps to keep the gut healthy. It is usually in lower concentrations in the gut of babies from developed countries. 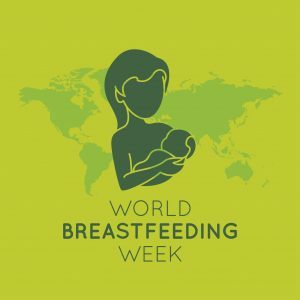 This bacterium is nourished by breast milk from the infant’s mother, acting in the same way a typical prebiotic food would to a probiotic strain. A study of mothers and breastfed infants looked at the effect of Bifidobacterium infantis supplements on infant’s gut health. One group of mothers and babies received the supplement with lactation support from day 7 to 21 after birth. Meanwhile, the other group received only lactation support. Study results show that those given the probiotic had positive changes in the make-up of the infant feces for up to a year after treatment. During this year, the “good” bacteria crowded out “bad” bacteria linked with asthma, allergies, and other immune-related diseases. This study suggests that this probiotic, upon further study, could help prevent immune-related diseases in babies from developed countries. There are so many types of probiotics on the market today. This can make it confusing to know which one to choose. Every probiotic strain has its unique benefits, so you may want to do your research before choosing one. A qualified alternative healthcare provider, such as a naturopath, may be able to assist you in making your choice. Regardless of which strains you choose, a diverse group of strains is recommended. Diversity of bacteria is important to help your gut create a balanced population. Also, a capsule or other medium will allow optimal survival of the bacteria as it travels to your gut. One example of a high quality probiotic is Biovia 30 by Vita Sciences. This probiotic contains 30 billion colony forming units of bacteria and 10 different strains. Furthermore, Biovia 30 can help boost the immune system and improve digestive health with regular use. 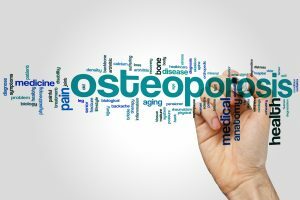 Could Weight Loss Reduce Joint Pain? Joint pain can stem from a variety of sources. Whether it be injury or chronic condition, pain can be a disruptive part of your daily lifestyle. You may need specialized medicine or other treatment to reduce some types of pain. However, you can reduce some types of pain with at-home treatments. A recent study has found that you can reduce some types of joint pain by simply losing a small amount of weight. Joint pain is any discomfort, pain, or inflammation that you may feel in your joints. Common areas where pain occurs is in the back, neck, and knees. However, pain may also appear on or around the joint at the muscles, ligaments, cartilage, bones, or tendons. For example, arthritis is the most common form of pain felt at the joints. Furthermore, tendonitis, bursitis, and fibromyalgia are examples of other causes of pain at the joints. A recent study at the University of Michigan Chronic Pain and Fatigue Research Center looked at the relation of obesity and pain. A group of 123 obese study subjects were placed on a low-calorie liquid diet for 12 weeks. Also, they were asked to increase their physical activity gradually. Study results show that a 10-percent loss of body weight over 12 weeks reduced pain in many areas of the body. In particular, study subjects felt less pain in the knees and hips, as well as the abdomen, arm, chest, and jaw. Researchers are not sure why 10-percent is the point at which pain starts to decrease. However, further studies may help to figure out why this particular percentage of weight is so critical to the reduction of pain. Although the study talks about a liquid diet for weight loss, this is not the most practical approach for most people. Therefore, follow the tips below to help you lose weight in a healthy way for the long term. Read nutrition labels and be sure to choose foods that are lower in added sugars and sodium. The nutrition label provides total sugar information as well as how much added sugar. Added sugars are those sugars not naturally found in the food you are eating that is added for enhanced sweetness. Try to keep added sugar intake as low as possible. Natural sugars from fruit and dairy products are OK.
Get more sleep each night. Studies show that people who get 3.5 to 5.5 hours of sleep each night compared to 7 to 12 hours each night consumed about 400 calories a day more on average. This could be due to sleep deprivation affecting appetite hormones such as leptin or ghrelin. Therefore, try to get at least 7 to 8 hours of sleep each night for optimal health. If you have trouble sleeping, try reducing screen time at night, blackout curtains on your windows, or contact your healthcare provider for more assistance. Track your calories to make sure you are not consuming more than you are burning each day. Use an app on your Smartphone or write down what you eat in a food journal. If you are still having trouble losing weight with this method, check with your healthcare provider or a registered dietitian to help you plan healthy meals and snacks. Make sure you are eating enough fiber and protein each day. Animal products such as meats, poultry, seafood, eggs as well as low-fat dairy products are important sources of protein in the diet. Fiber comes from fruits, vegetables, and whole grains from such foods as oats, quinoa, and whole-wheat. If you are vegetarian or vegan, be sure to consume plenty of legumes, soy proteins in tofu and soy milk, as well as plenty of nuts and seeds to get enough protein in your diet. Protein helps your body maintain lean muscle mass, which in turn helps promote healthy metabolism. On the other hand, fiber helps keep your gut healthy and keeps you fuller longer, which can both assist in healthy weight loss and management. Drink plenty of water to help with promoting healthy hydration to reduce the incidence of dehydration, which in turn could cause your body to retain fluid. Stay active. Moderate exercise each day for at least 30 minutes total is recommended for heart healthy. Exercise can also help in managing blood glucose levels and body weight. Besides losing weight, you can also reduce joint pain with a supplement such as Relocane by Vita Sciences. Relocane contains natural anti-inflammatory ingredients such as turmeric which promotes effective pain relief. Mayo Clinic (January 11, 2018) “Joint Pain”. Could Vitamin D3 Help Repair Blood Vessels? Vitamin D, known as the sunshine vitamin, is a very important nutrient for overall health. 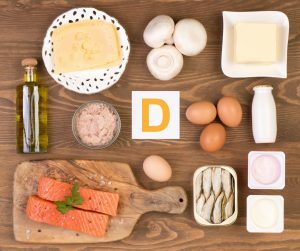 Best known for its work in helping strengthen bones and teeth, vitamin D is starting to get more attention for other benefits it could provide. A recent study reports that cells damaged by heart attack or stroke may be repaired by vitamin D3. Vitamin D is a fat-soluble vitamin that you can not find in many foods. However, vitamin D is important for many functions such as bone health. It is called the ‘sunshine vitamin” by some because it can be absorbed into the body through sunlight exposure. Because of this, those who live in cloudy climates or do not leave the house often may be low in vitamin D. You can find Vitamin D in such foods as fortified milk, yogurt, or orange juice, as well as fatty fish such as salmon or trout. Cod liver oil is also a good source of vitamin D.
Maxasorb comes in 1000 IU and 2000 IU formulas and can be conveniently rubbed on the skin like a lotion. An innovative study tracked single endothelial cells, or blood vessel cells, to see the impact of vitamin D3 on their health status. Heart health events such as heart attack or stroke as well as conditions such as diabetes or high blood pressure can damage such cells. The study showed that vitamin D3 helped such cells repair themselves from such damage. Also, the study found that the vitamin lowers oxidative stress in the cardiovascular system by stimulating nitric oxide (NO) levels. This turn of events increases blood flow and protects the blood vessels from damage. Recent findings also show that a deficiency of vitamin may increase risk of a heart attack and may reveal a link to depression. Therefore, taking a vitamin D3 supplement may greatly benefit many aspects of health. Although vitamin D is important, there are many other ways you can improve your heart health. Eat plenty of fruit and vegetables since such foods are rich in fiber. A fiber-filled diet is good for digestive health, keeps you fuller longer, and in turn can help you maintain a healthy weight. A fiber rich diet can also help you control blood glucose levels and keep cholesterol at healthy levels. Stay active often at least 15 to 30 minutes a day most days of the week. No need to be in a boot camp exercise program. Engage in simple exercises such as walking, water aerobics, gardening, dancing, to name a few to help keep your heart healthy. Drink more water and less alcohol to not only help manage your weight, but also to stay hydrated and keep your liver healthy as well. Don’t smoke or quit smoking since this unhealthy behavior can constrict blood vessels and in turn increase blood pressure levels. Maintain a healthy weight by performing all of the healthy lifestyle behaviors mentioned above since less body weight places less pressure on your heart, and in turn can help lower your risk of heart disease and related conditions. Tripkovic, Laura et al. (June 2012) “Comparison of Vitamin D2 and Vitamin D3Supplementation in Raising Serum 25-Hydroxyvitamin D Status: A Systematic Review and Meta-Analysis.” The American Journal of Clinical Nutrition 95.6 (2012): 1357–1364. PMC. Web. 5 Feb. 2018. Can Yoga Soothe Back Pain? Yoga may bring images of flexible lean figures bending their bodies in all different directions. Therefore, yoga may not come to mind when it comes to a solution for back pain. However, research shows that yoga can soothe back pain as well as physical therapy. 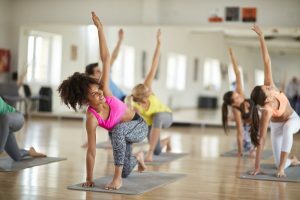 According to the National Institutes of Health, yoga is a mind and body practice that involves physical postures, breathing techniques, as well as methods of meditation and relaxation. Yoga is good for improving muscle tone and strength, improving respiration, and reducing weight, among other things. A recent study at Boston Medical Center looked at 320 patients that had persistent back pain for 12 weeks. The patients were assigned to either 12 weekly yoga classes, 15 physical therapy sessions, or a book on how to manage back pain. Nearly one-half of those who took yoga classes had “clinically meaningful” improvement. Also, 37-percent of physical therapy patients and 23-percent of book group patients, respectively felt similar improvement. The difference between the yoga and physical therapy results was not considered significant. The lead researcher noted that both the yoga and physical therapy patients had pain relief for 12 months. However, he also suggests that not all forms of yoga are appropriate for those with back pain. The gentle yoga used in the study offered chairs and props. Therefore the study yoga was easy on the joints versus other types of yoga. Yoga, however, is not effective for everyone with pain issues. Acupuncture, massage, or natural supplements such as Vita Science’s Relocane can also help relieve pain. Relocane contains natural ingredients such as turmeric and ginger that can decrease inflammation and help relieve minor aches, pains, and muscle cramps. Use this supplement by Vita Sciences as part of your daily health regimen to feel your best. However, be sure to talk to your healthcare provider before starting any new supplement or exercise program. Can Exercise Improve Brain Health? Staying active is well-known for helping to maintain heart health. However, did you know that regular exercise may also benefit brain health? A recent study has found that exercising 2.5 hours a week, or 30 minutes a day for 5 days a week, may help slow progression of Parkinson’s disease. Parkinson’s disease is a chronic and progressive movement disorder that may worsen over time. Therefore, medication and surgery have currently been used to treat and manage the symptoms of the condition. This condition involves the progressive death of brain cells, which leads to a decrease in dopamine levels in the blood. Lower dopamine levels result in a lessened ability to move. Therefore, since those with Parkinson’s disease lose dopamine over time, they may subsequently experience tremors, stiffness, and trouble with walking. 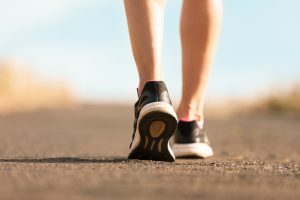 A recent study in the Journal of Parkinson’s Disease looked at the effects of exercise on the progression of Parkinson’s disease. After observing 3400 patients for over two years, those people with Parkinson’s disease who maintained exercise 150 minutes per week had a smaller decline in quality of life and mobility as compared to those who exercised less. The type of exercise that was of most benefit was not apparent. However, it is suggested that finding a type of exercise an individual enjoys will help them to maintain a regular exercise regimen and in turn will benefit them. Furthermore, by empowering those with Parkinson’s disease to engage in more exercise they enjoy, it may improve overall quality of life for these individuals. Therefore, it is important to find effective treatments for joint pain that will help make movement more comfortable. When movement is more comfortable, you will be more likely to engage in more activity, and in turn will gain the most health benefits. Also, the American Psychological Association has reported that regular exercise may help reduce panic in those with anxiety and improve mood in those with depression. Furthermore, regular exercise has been found to normalize sleep patterns, which in turn can make it easier for the body and mind to handle stress. Furthermore, Flexova contains a blend of B vitamins, vitamin C, vitamin A, as well as glucosamine sulfate and chondroitin sulfate that helps to reduce joint pain and improve joint mobility. Therefore, for more information on Flexova and other high quality supplements that can help improve your quality of life, visit Vita Sciences.